Am 6. 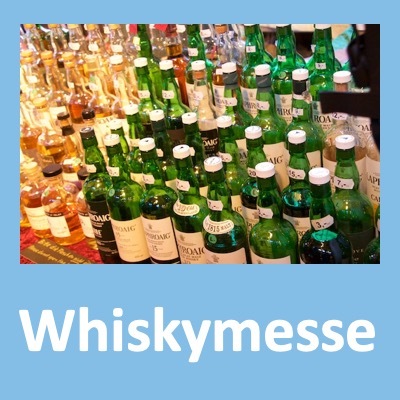 Dezember war es wieder soweit: ein Tweet Tasting mit The Whisky Wire. 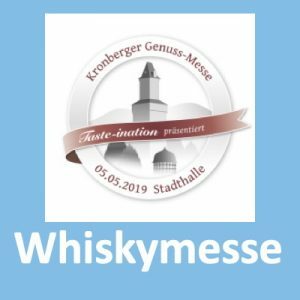 Dieses Mal geht es um irischen Whiskey von Walsh. Zwei Mal The Irishmann und zwei Mal Writers Tears. 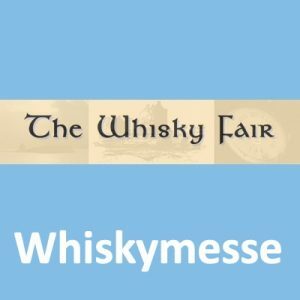 Steve Rush von The Whisky Wire hat durch das Tasting geführt und uns alle an der Diskussion beteiligt. Angefangen bei der Nase und schließlich weiter zum Geschmack. Die Konversation war auf englisch und ich habe Euch wieder einige Notes „mitgeschnitten“. 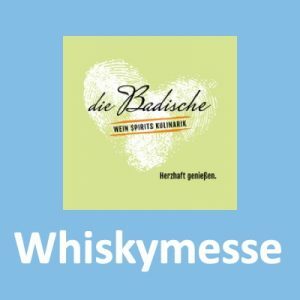 Wer das nachlesen möchte, kann auf Twitter nach dem Hashtag #WalshWhiskey suchen. Taste: Gently spiced with a burst of ginger and butterscotch with background notes of toasted oak. old fashioned bubblegum. Tropical fruits. Powdered sugar. Gentle sweet cinnamon. Spicy dry oak. A basket full of red fruit, strawberries, cherry, almonds, citrus, cinnamon, green apples in a bowl with caramel and sweet pears. 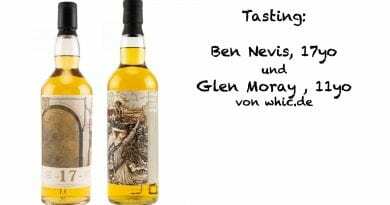 oooodles of fresh fruits.. Prar, apples, apricot and sweet honey with orange peel and dried hay..
has quite a sour leading edge to the nose; little bit of apple crumble and dare I say it, copper coins held for too long in a warm palm. Thick, fast legs. Oodles of vanilla and spiced infused baked apples on the nose. fruit fading in favour of honey and caramel. A touch of chocolate. Gum in the background now. Very pleasant easy sniffer. agreeing with the woody influence, bahs of vanilla, tropical fruit and some baked apples. Hint of a little cinnamon or ginger? Baked apple and ginger on the nose. Very welcome this blustery evening in the West of Ireland! honey and caramel developing more now. Loving the spices. opens sweet and creamy with butter cream frosting and some honeysuckle florals, then immediately a little citrus bite: lemon and tangerine. Cleansing tannin at mid-palate and a smooth gentle finish with porridge and herbs. Sweet with malt and gentle with it’s spice. More of the sweet fruits, honeyed fruits and more fresh orange. sweet and creamy. Vanilla rich. Some spicy oak. Honey and dry treacle. Nice oiliness to the mouthfeel. 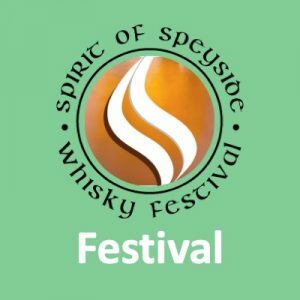 Limited unique vatting of Single Pot Still & Single Malt Irish Whiskeys. Matured in first fill Bourbon casks. Taste: Subtle hints of toasted almonds and bourbon oak, followed by elegant tones of dried fruit and raisins. Finish: An intense finish bursting with depth and flavour. amazed by the vine fruits on the first nosing but they quickly disappear. Hang on – because this reminds me of the velvet in my trumpet case! initially closed. Quite dry. Treacle. Dry fruits. Apple. Polish. Some solid oak furniture in a stately home. It feels older after a few minutes to breath. nose to me is pure summer honeysuckle – could drift away on this. warm, creamy, custard-pudding and also tropical, pineapple, raisins, mango, papaya and a complexity of lemon and lime. Overripe green apple along with some green banana. Slowly but surely the vanilla cream cuts through the fruit and wood notes. time makes the world of difference. Some fruit, stewed apple and a touch of the tropics. Gentle sweet vanilla and cinnamon, almost pastry like. A deep honey overcoat covering the lot. Amazed that my first ‘Experience’ of that finished quite quickly – better have a second sip! Much more balanced: rich, deep but with a fresh oak and spice finish which does stay around and make the mouth water! Oh yes! gives a bit hit of spice, don’t really get the strength very much. Smooth slightly oily, very drying with hints of the apple from the nose. Some vanilla on the tongue with oak. O wow.. that spice intensifies as soon as it hits the palate.. The oak is strong in this one !! Then you get candied orange, cooking apples, burnt sugar and a little vanilla but it’s all about the oak spice for me..
the strength is here. Getting smoother. Spicy and oak. Quite complex. Some fruits. Very nice! Deep orange, red apple, black pepper, and serious oak spice coming through towards the end. That is pretty goddamn awesome. ooh now that’s a mouth full but that’s nice. Delicious rich fruit and the spice balance so nicely. Feels a bit oily on the palate. Lovely oak flavours again. Definitely feels smooth. A little water softens the spice down to allow the fruit to come through, almost like fruit juices, „Five Alive“, also releases a little bit of dusty wood towards the finish. Nose: orange peel, dried fruits and sherry plums. Taste: Nutty oloroso, Spicy Raisins and creamy oak. Finish: Long and wonderfully complex with a flourish of orange. An unhurried journey. nutty. But feels quite closed. Some spicy dried raisin. Clove and burnt cinnamon stick. cask char. A touch of herbal. Pine? Rosemary? Spicy sweetness in the background. soft on the nose, red fruit, peach, honey, sherry, sea breeze, peanuts, cinnamon, pepper, sage, lavender, hairspray ( in a good way) and blue berries in fresh yogurt covered with flower honey. beautiful nose on dried roses, Darjeeling tea, and distant cinnamon stick. Gentle but beautiful and slightly exotic. time cooked apples & pears (grandma’s recipy), all spices (but not strong), rich toffee & cider? Ripe red apple, nutmeg, light dried fruit, stewed orange, only a small hint of cream and gentle spice, definitely sweet to begin with beautiful nose on dried roses, Darjeeling tea, and distant cinnamon stick. Gentle but beautiful and slightly exotic. thick rich and sweet. Stewed Apple. Gentle fruitcake. Cherry. Christmas spices. Lovely balance. Adding a drop of water. very smooth and buttery with a hint of honey, lots of spice with citrus fruit on the tongue. A little hint of nut chewing away in the background! 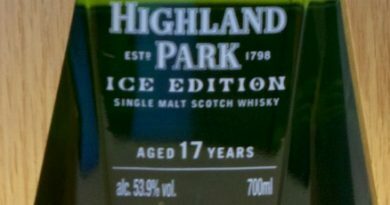 struggling a little with this one.. a little thin and bitter for me.. A real shame as I love my sherried Drams.. I need to re visit this..
+H20 – dustier and sweeter sugars. Fruit and nut chocolate bar. Cherry menthol. Tunes. Fulfilling complexity. Hmmmm. is like a swan – elegance & beauty above the water w undercurrents of spice gardens & tropical rain forests. 2nd sip is more balanced but so intriguing with the spice dominating. What would this be like w more or less time in the Oloroso butts? opens into dark chocolate and burn mandarin orange notes joining the first flush Darjeeling and roses. Spicy, off-dry, and sophisticated. 46% is right with this one. Enough oomph but still gentle and easy. Finish: A touch of hazelnut and sugary nougat infused with deep oak spices result in a stunning finish, reminiscent of an Italian summer. sweet red berry jam. Clove. Cherry. Spiced honey. Chocolate. Rich plum pudding with thick toffee sauce. beautiful golden colour, slow legs in the glass. Initial nose gives the red wine hints but also red fruit! Big nose of stewed peach, rancio, noble rot, burdock, ambergris – musky animal perfume, and apricot cream. Wow! perfect balance of fruit and spice. Nutmeg topped custard tarts. Cranberry sauce. It’s got a whole lot going on. Excellent. 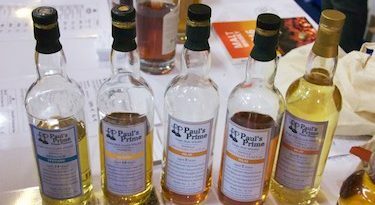 haha good impressions of a winner in terms of balance, sure the Marsala influence is obvious, but it stays an Irish whiskey it seems (fruity, spicy, sweet)! opens on sweet wild herbal honey, pan seared caramelized stone fruits, tea, then drying tannin, salt, and golden berries (a South American tart tomatillo). Then a long unexpectedly dry finish on burnt citrus, and old oak. Sophisticated. Very good…Marsala is there but Irish spirit as well, love it’s complex fruitiness, slightly waxy & vanilla on second ground, then soft spices on top, it’s a killer ! (on the wishlist as well, my friends!) Love it! hmmmmmm. Very luscious berry compot. Lots of spicy vanilla custard. Some fruitcake and nuts. Spicy sherry without the sherry cask! Orange is back. A little bit Fanta style. Lots of caramel and creme brûlée (agreed @cyrilbriscoe). Still Irish is present. Some oaky notes at the finish. Spicy. Marsala finish is unusual but meshes perfectly w/ the sweet creamy citrus qualities of the Irishman distillate. Opens sweet but finishes dry. Unusual musky, stone fruit and citrus pith flavors along w/ drying tannin &herbal complexity. immensely sweet red fruit basket of strawberry, red currant, blackberrys with a creamy custard top coat. Delicious. Very fruity. Love it. Dates, plums, candied orange, chocolate, wild berries, roasted almonds, gently spiced with a lingering finish.. 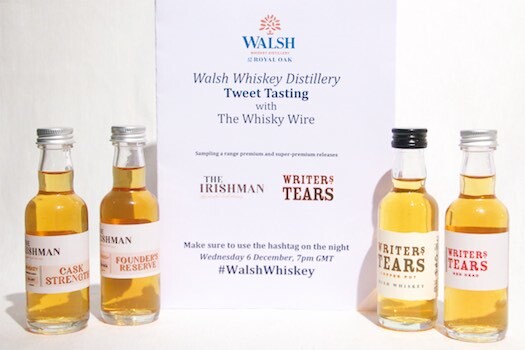 Die beiden Writers‘ Tears habe ich bereits (ebenfalls als Tweet Tasting) probiert: Tweet Tasting: Twitter #WalshWhiskey mit WhiskyWire. 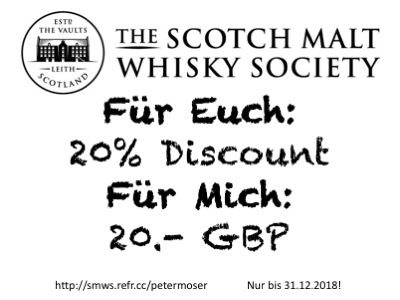 Ich bin bei Irischem Whiskey immer ein wenig zurückhaltend, da mir Scotch Single Malt mehr liegt. Alle vier haben mir aber gefallen. 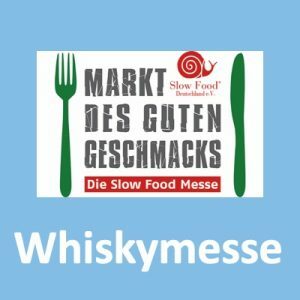 Am Besten der Cask Strength gefolgt vom Marsala. 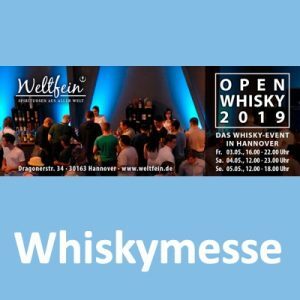 Vielen Dank an Walsh Whiskey und Steve für dieses Tasting!